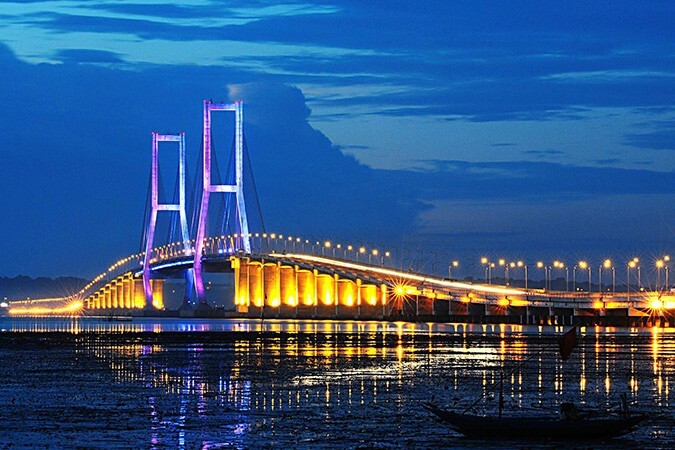 With a large natural harbour, Surabaya was one of the earliest port cities in Southeast Asia and rivalled both Shanghai and Hong Kong through the 18TH and 19TH centuries in terms of global importance. It was the largest city in the Dutch East Indies until surpassed by Batavia in 1920, as well as being the centre of much of its trade from the Spice Islands and the plantations of Java. Its location at the edge of the Straits of Madura also made it a port of significant strategic military value and it was home to the Dutch East Indies fleet. Today, after a long and often violent pre and post-colonial history, Surabaya is the capital of the Indonesian province of East Java and is a vibrant metropolis with modern skyscrapers towering over both traditional and modern Javanese homes, canals and a selection of colonial buildings, some like the Hotel Majapahit in the centre of Surabaya being classic legacy buildings. Like most port cities, Surabaya has a thriving Chinatown and Arab Quarter that expanded as the traders, sailors and migrant workers settled and added their own flavour to the city. Today it remains a melting-pot of cultures, styles and cuisines. The dining and nightlife in the city is a reflection of city’s people and, with a large Muslim majority, naturally there are huge numbers of halal cafés and restaurants serving both local and Arabic food. There is also a plethora of international options, with some outstanding Italian, Indian and Cantonese restaurants in particular. 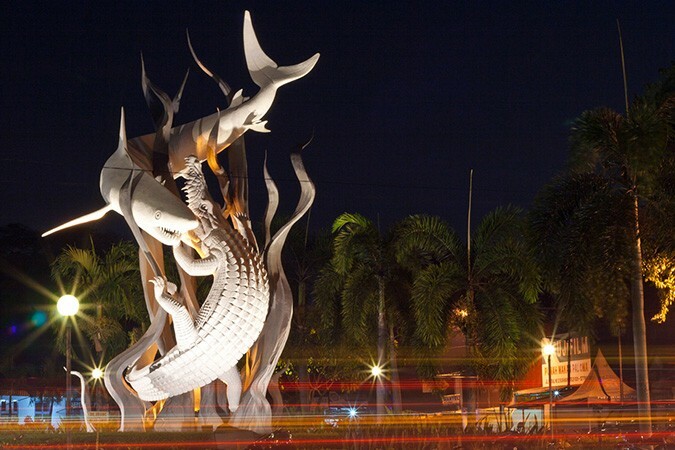 Surabaya is full of commemorative statues and interesting references to the Indonesian battle for independence. The city is often referred as Kota Pahlawan, or the city of heroes, a specific reference to the role of the Battle of Surabaya which, although the Indonesian side were heavily beaten, acted as a catalyst and galvanized support for the independence movement both at home and abroad; a pivotal moment in the wider struggle. 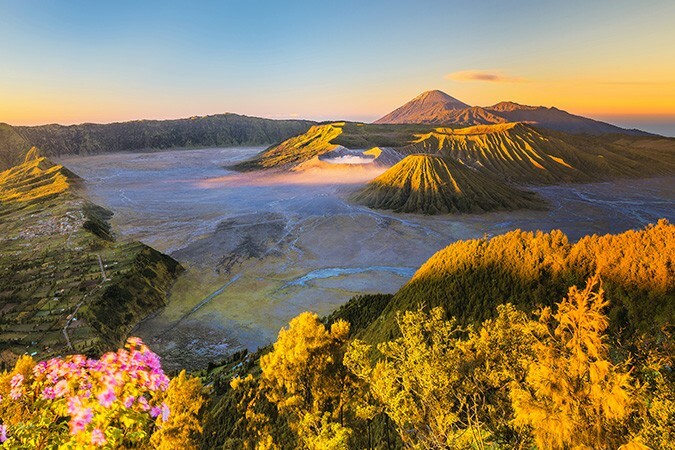 For the more adventurous traveller Surabaya is also the gateway to the Bromo Tengger Semeru National Park, Java’s most recognisable and beautiful vista and home to the Tenggerese, who claim to be the direct descendants of the Majapahit princes. The population of roughly 100,000 is found in just 30 villages in the isolated higher reaches of the park, where they practice a unique mix of Hinduism infused with Animism and Buddhism.